It turns out White House press secretary Sean Spicer has been hopping around the White House long before President Donald Trump hired him to face the media each day. He once enjoyed a career as the White House Easter bunny helping George W with his eggs. 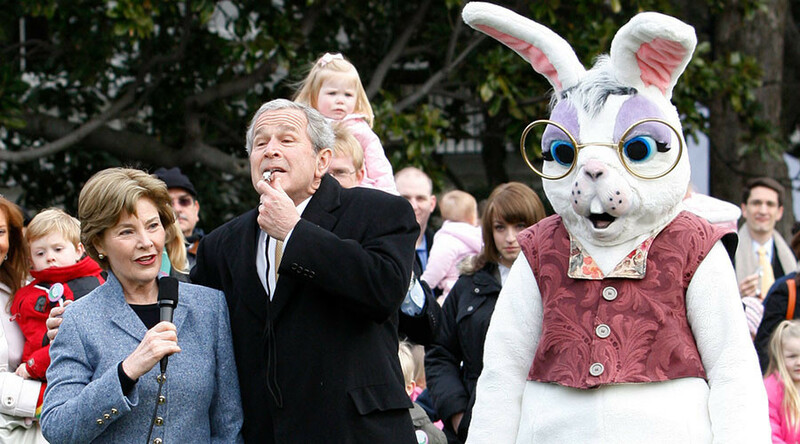 Spicer was President George W Bush’s Easter bunny back in 2008, when he helped out at the White House’s annual Easter Egg Roll. At the time, Spicer was an assistant US trade representative for media and public affairs. According to an old interview in Politico, Spicer, who was then in the second year of his bunny career, described the bunny suit as “very hot,” although it was likely nothing compared to the heat he feels in his current role. Spicer’s hidden past has inspired an explosion of mirth and jokes, from claims Spicer is a “furry” to calls for the press secretary to go back to his simpler life as an Easter egg gifter. — DTF (@DustinTFinch) 3 марта 2017 г. While much of the reaction was in good spirits, others took the opportunity to deliver more pointed comments to Spicer. — Jordan Uhl (@JordanUhl) 3 марта 2017 г.